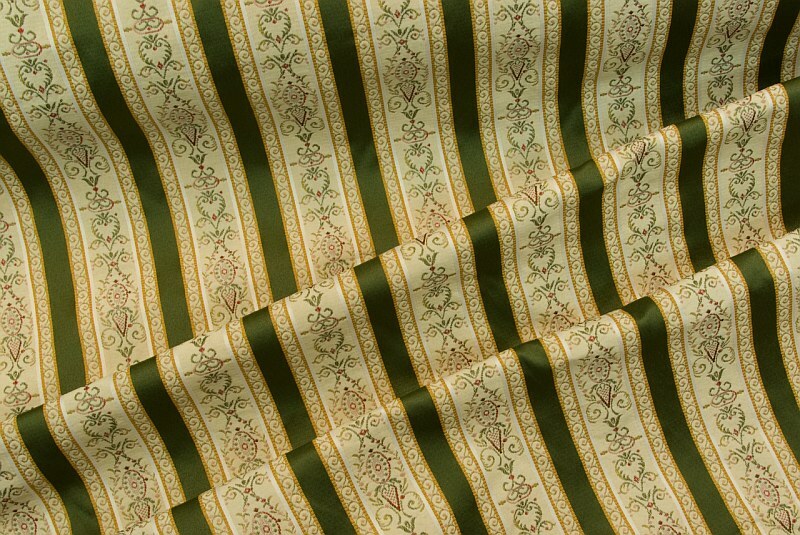 Furniture fabric for upholstry in classic Biedermeier style with longitudinal stripes in strong colors. Stripes are ca. 3 cm wide. Biedermeier furniture fabric with black stripe. Biedermeier furniture fabric in red or yellow. Biedermeier furniture fabric in rose and blue.